Internet Marketing Strategies, Techniques, Tips And Tricks Every Website Owner, New Or Experienced, Should Know, To Become Successful Too! Spending money on advertising can be intimidating, especially if you are not sure what the result will be. When you spend a substantial amount of money on advertising, you want to see if it is going to bring you any actual business. Some forms of advertising are easier to track than others. For example, if you’re doing pay-per-click advertising, you can tell exactly how many people are coming to your website and how many are buying. However, if you do a radio ad, it can be hard to track how many customers came from that ad if you don’t build out tracking mechanisms for the campaign. While it can sometimes seem difficult to track certain types of advertising campaigns, there are various ways in which you can track effectiveness. If you’re running an advertising campaign offline, this can often lead to people looking for your business online. For example, if someone hears a radio advertisement for a local business they will likely search for this business online in the near future if they’re interested in responding to the ad. Before you run the campaign, see how many people visit your website from the city in which you’re going to advertise. This is easily done with Google Analytics. Specifically, keep track of how many people typed your brand name on Google before arriving at your website. This can serve as a rough gauge of your brand awareness at the time in that market. Then when you run the advertising campaign, you can check these numbers again for the time period following the campaign. If the number of searches went up significantly, this can be an indicator that the offline campaign was successful in driving people to your website. Obviously, this isn’t a foolproof method since some people will not end up searching for your company online, but it does give you some metrics to look at. Another way to track advertising campaigns is to use a special contact method. For example, if you are doing a radio advertisement you can include a unique phone number or customized website address. These will both lead to your business, but will enable you to track the number of people that used these methods. There are also numerous call tracking products, including Marchex and IfByPhone.com. You could even use a free service like Google Voice to manually track how many people call you from a specific number (ie the Google Voice number). For webpage tracking, you can simply make another landing page on your existing website that you only tell people about through the ad. You could even buy another domain and have it forwarded to your existing website. 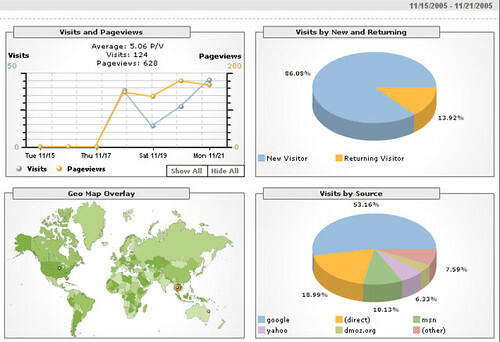 Then you can look at your analytics information to find out how many people came from that domain. The Old School Tactic – Just Ask! Although it may seem a bit basic, another way that you can get information about where customers are coming from is to train your staff to simply ask. For example, before every sale, require your sales staff to ask each customer how they heard about your company. You can even include a blank area on the invoice or on some other document that has to be filled out at each transaction. While you may miss out on that information a few times here and there or get broad answers such as “online” or “Google”, you’ll still get enough information to make some decisions about advertising. If the vast majority of your sales staff is keeping track of where each and every customer came from, this should give you an idea of how effective specific advertising methods are. Even though the measures discussed above are not perfect, they will still provide sufficient information to help you move in the right direction. If you’re spending a good amount of money on advertising, you owe it to yourself to track as much of that money as possible. Mike Anderson is a blogger and Social Media expert with Koeppel Direct, a leading Direct Response Marketing company. This DTRV agency provides media buying expertise for U.S. organizations since 1995. Copyright © Affordable Internet Marketing Blog 2019. WordPress theme by Ryan Hellyer.